Bluegrass Pundit: President Obama: Need some "some bottom-up economics." 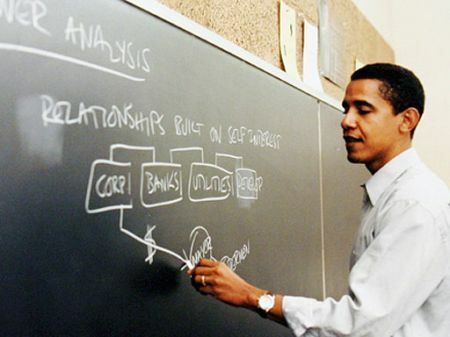 President Obama: Need some "some bottom-up economics." President Obama has never been a businessman and has no clue how the economy grows and jobs are created. He believes we can distribute a large amount of money in very small amounts and the aggregate will somehow magically create jobs. Obama thinks if you give low income workers tax credits, extend unemployment and otherwise redistribute some of this countries wealth to lower income individuals, the economy will take off. The Stimulus contained much of this type of spending and unemployment was extended to 99 weeks. It didn't create a robust economy and job market. The truth is upper middle-class and rich people create most of the jobs in this country. They need two things to do this; capital and a willingness to risk it. The current climate of uncertainty over taxes on the wealthy and a massive expansion of anti-business regulation has put a damper on job creation. This will continue if Barack Obama is re-elected. Even if Obama pretends to evolve his anti-business position, upper middle-class and wealthy Americans will never trust him. The only solution is to throw Barack Obama and as many Democrats as possible out of office this November. “They figure that if we simply eliminate regulations and cut taxes by trillions of dollars, then the market will solve all of our problems,” Obama said.